Our aim is very simple: to pave the way for a more secure financial future for you, your family and for businesses of all sizes. We create financial plans which are based on a thorough understanding of our clients’ current financial situations and goals and which meet their future needs. Most importantly, we offer clear, no-jargon and independent advice on the most appropriate financial products for their specific circumstances. Whether you have big financial goals ahead or simply want to ensure that you, your family and your assets are properly protected, we can help you build a brighter, more secure future. 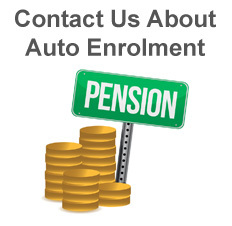 If you are looking for a company pension scheme, auto enrolment management, group insurance or any type of employee benefit we can offer a tailor made service with highly competitive fee structures. Contact us for a free initial consultation. Call us today or complete our short enquiry form and we'll be pleased to help you. BriggsFiscal is a trading name of Briggs Fiscal Ltd which is authorised and regulated by the Financial Conduct Authority. Briggs Fiscal Ltd is entered on the Financial Services Register (www.fca.org.uk/register), under reference 455100. Registered in England under reference 05266801. Registered Office: Banbury House, 121 Stonegrove, Edgware Middlesex, HA8 7TJ.